Afghanistan considers Russia to be not only a close neighbor, but also an important political and economic partner, and is interested in attracting Russian business, Hamid Karzai said during his first official visit to Moscow. 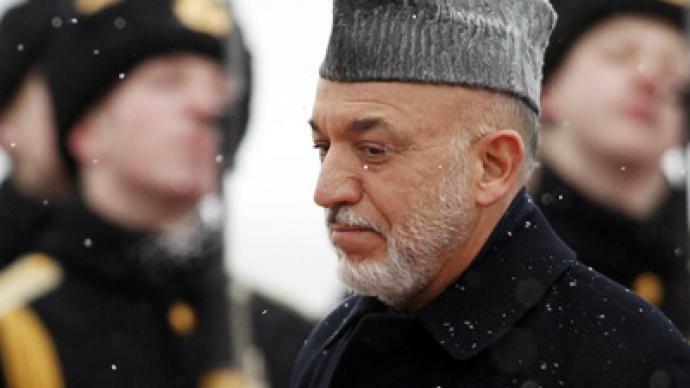 “In particular, Afghanistan is interested in Russia investing into infrastructure projects,” Hamid Karzai said. Karzai has met his Russian counterpart Dmitry Medvedev to talk about strengthening relations between the two countries, brainstorm about effective solutions to mutual threats, and expand common interests. Economic relations and the war against drugs were on top of their talks' agenda. Moscow is trying to be more involved in tackling this problem. Annually, 350,000 people die in Russia from Afghan heroin. Russia has recently been participating in many international conferences on the Afghan drug problem. “Kabul highly appreciates Russia’s constructive stance on involving Afghanistan in international organizations’ activities as a fully-fledged member,” Karzai added. President Medvedev has even said that he would like to see Afghanistan as a guest member of the Shanghai Organization for Cooperation that also discusses the drug issue widely. President Karzai stressed that Afghanistan cannot tackle this problem without help from the international community. The presidents have adopted a joint statement on their countries’ stance on key bilateral issues and their priorities for developing relations. They have also signed an agreement on trade and economic cooperation. “This agreement sees the creation of a very important mechanism for trade relations between our two countries. Namely – an inter-governmental commission that will strengthen cooperation between Russia and Afghanistan. Over the past few years our trade turnover has increased more than fourfold, and is now half a billion US dollars,” President Medvedev said. Military cooperation has also been in the spotlight. 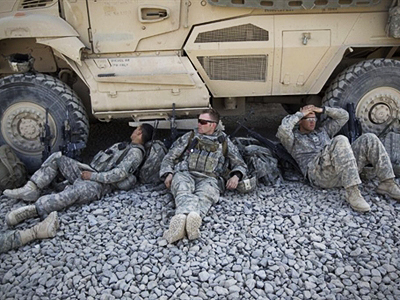 Russia and the US have agreed for US Army cargo to be transited through Russian territory which significantly eases the process of delivering military equipment to Afghanistan. The presidents also discussed energy security. Medvedev said that Russia is willing to build several hydro-electric power plants in Afghanistan. Russia is trying to help Afghanistan more and more every year, including reconstructing infrastructure built by the Soviet Union. Russia is trying to do its best to help Afghanistan prepare for the withdrawal of US troops from the country in 2014 when Kabul will have to take care of its own security. In order to do that, Russia is willing to help train military officers. And last year Russia donated 20,000 Kalashnikovs and sold 80 Mi-17 helicopters to Afghanistan. President Karzai has also said that he would like to rely on help from Russia in one way or another, even after the withdrawal of US troops from the country. The Afghan president has invited Dmitry Medvedev to visit Afghanistan. “It will be an honor to welcome you in Afghanistan,” he told the Russian president. 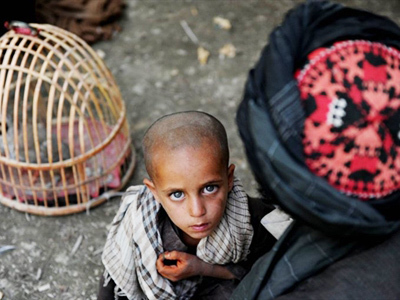 ­Member of the Afghan Parliament, Daoud Sultanzoy, says the drug problem in Afghanistan should be remedied, not fought. 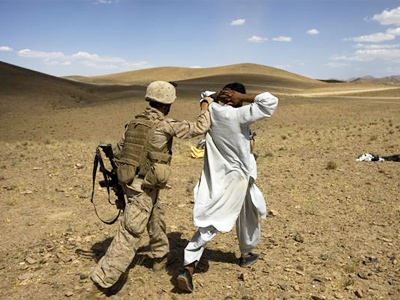 Remedying the problem first and foremost on its home turf, in Afghanistan, is what anti-drug expert Igor Khokhlov says is the only effective way to tackle drug trafficking. Armen Oganesyan, editor-in-chief of International Affairs magazine, said the aim of the summit was to increase Russia’s investment in Afghanistan’s stability. “I think that Russia and Afghanistan are interested in upgrading stability in every sense of the word: economics, fighting drug trafficking, infrastructural support in agriculture and [other] industries,” Oganesyan said.